For the first time in a long time, I finally want to decorate my house for the Christmas season. I want a big, fat tree, but I’ve seen too many YouTube videos of cats taking down Christmas trees so I’m a little apprehensive about getting one. Look at this. See what I mean? It’s adorable and all, but it can be dangerous for my fur kids, not too mention tiring for me. I don’t want to clean up all day! Well, I already do that, but let’s not add tassels, broken ornaments, and plastic leaves to the list. So I decided to make one. 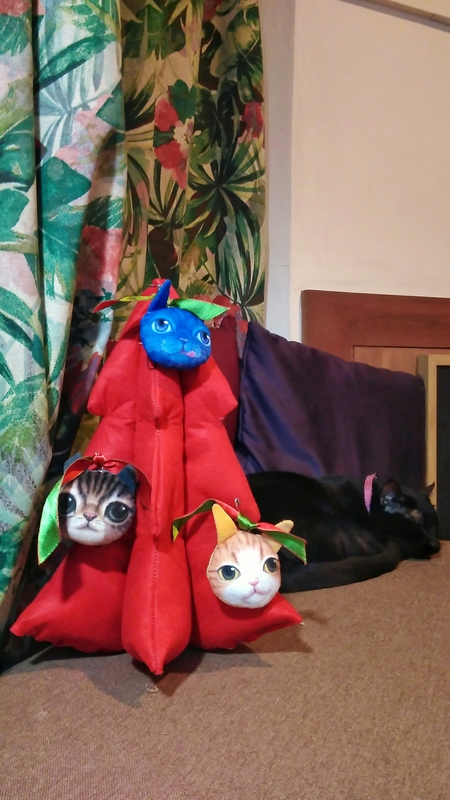 I’ve been going on a sewing binge this weekend (I made curtains, a throw, and 2 cushion covers), so I made a prototype of my tree last night. I didn’t have enough felt, so the tree is only 14″ tall. 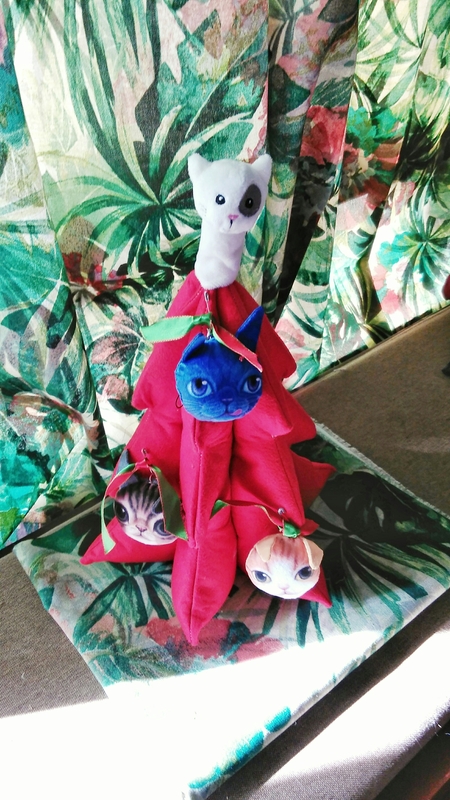 I’ll have to get more fabric this month so in can make a 4 feet tall plush tree! 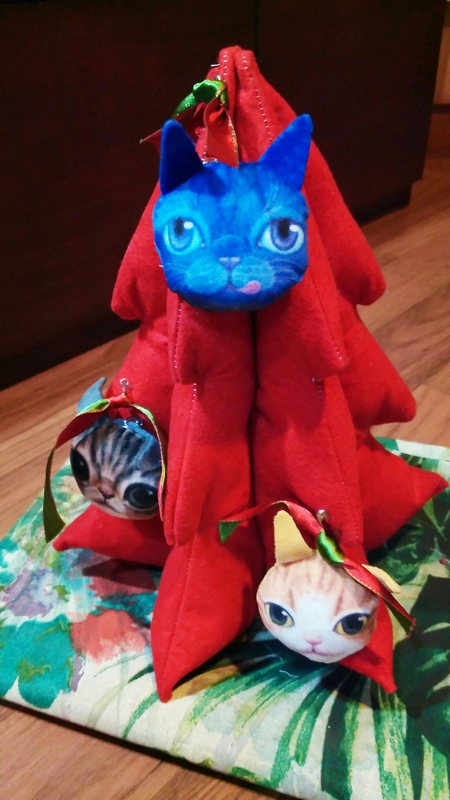 Last week a friend gave me a set of mobile phone ornaments, so I used them as decor for my tree. I think they’re purrrfect! I added a topper this morning, a finger puppet from another friend. I’ve been having fun making different things last weekend. The stress has been getting to me, so I needed to regroup and get creative again. Hearing the steady sound of the seeing machine was comforting and relaxing. This is going to be a long week, so I’m glad I was able to disconnect and work with my hands again. Yeah, I think this is just the beginning of my Christmas decor project. I’m having too much fun so why stop with just a tree?